A fringe theory is an idea that departs from the mainstream view. It can be an unverified hypothesis, historical hoax, or pseudoscientific discovery. Fringe theories often surround bizarre news stories, coincidences, geological features, or strange events, because when we’re presented with unverified speculation, we often like to investigate the topic further in an attempt to find an answer. 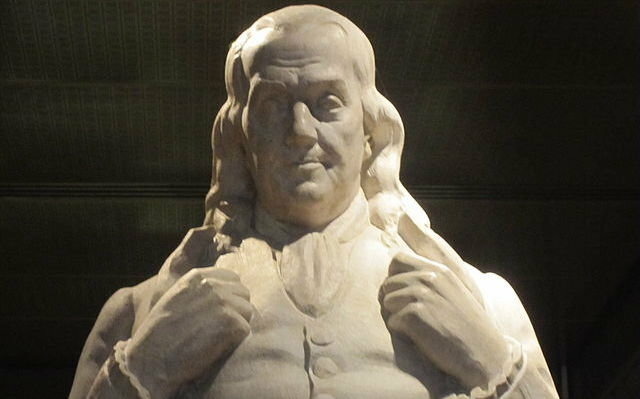 The Franklin Prophecy is the fringe belief that Benjamin Franklin made anti-Jewish comments during a speech at the Constitutional Convention of 1787. The theory is often referred to as the Franklin Forgery, but has found acceptance in the Arab and Palestinian media. According to its adherents, Franklin’s speech was transcribed by Charles Cotesworth Pinckney and included information about why the United States shouldn’t allow Jewish immigration. In 2002, the Franklin Prophecy was mentioned by Osama Bin Laden in his “Letter to the American People.” Many aspects of the theory point to a clear forgery and hoax. The speech uses 19th- and 20th-century terminology, and in reality, Benjamin Franklin was extremely friendly toward the Jewish people. He even contributed toward building the first permanent synagogue in Philadelphia. British Israelism is a doctrine based around the idea that people of Western European descent are relatives of the Ten Lost Tribes of Israel. The fringe theory developed in England during the 17th century and eventually spread to the United States. The idea was promoted by two men, Richard Brothers and John Wilson, who believed that Anglo-Saxons were descended from ancient Scythian tribes. In 1783, a book titled “The United States Elevated to Glory and Honor” was published, suggesting that similarities exist between the United States and Israel. In the 1870s, a small number of organizations were established in Great Britain and America to support the theory. In 1919, the British-Israel-World Federation was set up in London and joined by some prominent political figures, including the Prime Minister of New Zealand, William Massey. One of the primary tenets of the theory is that the British Royal Family is directly descended from King David. In 1902, Mary Baker Eddy became the first person to trace the lineage of Queen Victoria to King David. Despite the theory’s popularity, modern human genetics doesn’t support the idea. Research on the Y-chromosomes of Jews has suggested that they are closely related to other populations from the Middle East, such as Arabs, Turks, and Kurds. Critics of the theory say that it is based on highly speculative amateur research and lacks any substantial basis, while believers continue to focus on the historical linguistics of certain place names and scriptural interpretations of historical text. Harold Brooks-Baker was an Anglo-American journalist who became famous for his books on the genealogy of the British Royal family. In his work, Brooks-Baker suggested that every US presidential election has been won by the candidate with the most royal blood. The theory is known as the most royal candidate hypothesis. Brooks-Baker traced the lineage of 33 US presidents back to Alfred the Great and Charlemagne. 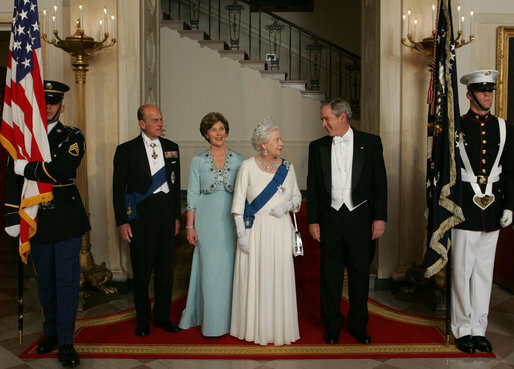 In the book Burke’s Presidential Families of the United States of America, he suggested that George W. Bush is the 13th cousin to the current Queen Elizabeth. Brooks-Baker also claimed that Queen Elizabeth is related to the Prophet Mohammed. The findings have helped fuel the conspiracy theory that an elite group, such as the Illuminati, is secretly controlling American elections, using the media to promote the most royal candidate. In 2010, a story surfaced that a seventh-grade student in Watsonville, California had discovered that every US president except Martin Van Buren is descended from King John of England. The girl discovered the connection after exploring a genealogy database created by her grandfather. In 1215, King John enacted the Magna Carta, which was one of the first documents to support “democracy.” It said that no freeman could be punished except by the law of the people. The Magna Carta is considered a forebear of the Constitution of the United States. For the project, the girl (who is also related to King John) linked Barack Obama as her 18th cousin through Obama’s mother’s family. After the story made headlines, the girl said that she wasn’t surprised by the connection because the people seemed to have a common trait of wanting power. Critics of the theory say that the odds of being related to a member of the British Royal Family are extremely high. One estimate has suggested that more than 150 million Americans might be of royal descent. Sefer Toledot Yeshu (“The Book of the History of Jesus”) is a medieval Christian gospel which presents the life of Jesus in a fairly different light. The text is widely believed to be a hoax, but has been presented as fact at different points throughout history. The book says that Jesus was an illegitimate child who practiced “heretic activities” and died a shameful death. He is presented as a person of wisdom, but disrespects his elders. Little is known about the true origin of the Toledot, but many feel it was circulated orally before being put into various literary forms. One study indicated that over 100 manuscripts of the book still exist, with the oldest from the 11th century. However, information in the book indicates a potentially earlier publication date. Some scholars have suggested the book was put together no earlier than the sixth century, while the earliest mention of the book is thought to have come from the year 826. In the Middle Ages, the Toledot Yeshu was apparently used by some Jewish communities in order to discredit Christianity. The book was first translated into Latin by a Dominican friar named Ramon Marti in the 1200s. In 1405, the document was banned by the church, and in 1543, it was used by Martin Luther to condemn Jews. In 1614, the book was reprinted by Jewish apostate Samuel Friedrich Brenz and presented as fact. The Toledot has been supported by the anecdotes of the Midrash and Talmud, which have attempted to debunk two primary Christian doctrines, the virgin birth and the ascension of Jesus. In the book, Mary is said to have been seduced by a soldier named Ben Pandera before giving birth to Jesus. After his death, the body of Jesus is stolen from his grave, but eventually recovered by the authorities. In 1937, Jewish scholar Hugh J. Schonfield published a book that suggested the Toledot was older than originally thought and may be the “Gospel of the Hebrews.” The document has fallen out of popularity but remains a point of controversy in the Christian faith. Ibragim Todashev was a Chechen-American who was shot to death by an FBI agent on May 22, 2013. He was an acquaintance of the Boston Marathon bomber Tamerlan Tsarnaev, and was killed while being questioned about the bombing and a triple homicide that occurred in Waltham, Massachusetts, on the evening of September 11, 2011. On the day of the shooting, two State Police officers and an FBI agent interviewed Todashev for approximately eight hours before he confessed to being involved with Tamerlan Tsarnaev in the 2011 murders. 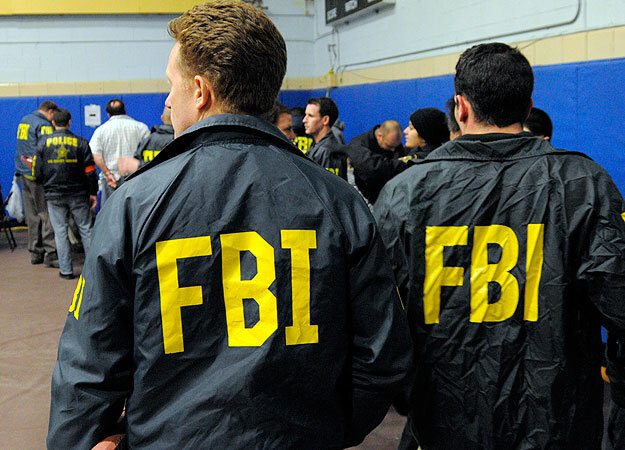 It was initially reported that Todashev was killed while alone with the FBI agent. It was also initially claimed that he threatened the officers with a knife, gun, or sword, but these reports were later dismissed. Todashev is now thought to have been unarmed during the incident. However, he might have used a metal pole or broomstick. Unfortunately, The FBI has sealed all documents in the case, so it is impossible to determine what really happened. The secrecy of the shooting has spawned a series of conspiracy theories that say Todashev was assassinated by the FBI in order to keep him quiet about the Boston Marathon bombings. He was scheduled to travel to Russia two days after his death. The shooting has outraged many people, and the FBI has blocked all attempts to view autopsy reports because the case is still under investigation. The American Civil Liberties Union has called for an independent investigation into the shooting, while the Russian embassy in Washington has become active in searching for details in the case. The Washington Post has also asked for answers about how Todashev died. As with the Sandy Hook Elementary shooting, 2012 Aurora murders, and the Boston Marathon bombing, details of the event have been confused by false or inaccurate media reports and rumors, which have unfortunately been vastly blown out of proportion with the speedy help of social media. Brian Springer is a television director who promotes the fringe theory that a select group of US politicians, journalists, and television personalities have been using the media to sway public opinion and deceive the American populace. In the early 1990s, Springer spent a year searching over back-channel satellite news footage to find controversial clips that weren’t meant for public view. He then used the videos to create the 1995 documentary titled Spin. The movie examines a large number of TV outtakes that touch on the 1992 presidential election, the LA riots, and abortion protests. Spin takes the approach that the American media has been used as a tool to silence public debate on certain issues. In the documentary, presidential candidate George H.W. Bush can be seen having a private conversation with Larry King about the drug Halcion (about 6:20 in the above video). Once the cameras are on, Bush’s demeanor changes completely. Spin also examines the career of politician Larry Agran, who attempted to win the Democratic nomination for president in 1992. Agran gained public support during his campaign, but he was banned from debates and conferences. In the end, the media failed to report on his success and Agran failed to get recognized. In the film, Al Gore can be seen being taught how to avoid questions on abortion and Pat Robertson makes derogatory comments about gay people. The documentary concludes that certain US presidential candidates have been selected and promoted to win elections, while others are threatened, accosted, and ignored by the media. The idea runs parallel with the fringe theory that the term “conspiracy theory” was invented by the CIA to discredit people who question media accounts of important events. The hygiene hypothesis is a theory that says children in developed countries may be more susceptible to allergic diseases because of a lack of exposure to certain infectious agents, which has caused a problem with the natural development of the immune systems. The theory has been used to explain a wide number of medical trends, including the fact that people in developed nations suffer from more allergies, have widespread autoimmune diseases, and have a problem with acute lymphoblastic leukemia in young people. One of the first people to propose the theory was David P. Strachan in an article published in the British Medical Journal in 1989. Since that time, the theory has been heavily investigated in the study of allergic disorders. It has expanded to suggest that human exposure to bacteria is important for immune system development. The hypothesis argues that people who have better hygiene and effective medical care may have impaired regulatory T-cells. One publication has even speculated that the hygiene hypothesis could be responsible for autism. The research is interesting, but the theory is far from being accepted by the medical community. It is also far from presenting a potential solution to the problem because kids absolutely need immunization and good hygiene. Some other potential causes for the outbreak of allergies in developed countries include infant feeding (formula), overexposure to allergens, and exposure to pollutants. Heriberto Lazcano Lazcano was the leader of the Los Zetas drug cartel until his death in a shootout with police on October 7, 2012. One of the most infamous Mexican drug lords in history, Lazcano was known for his extreme violence, and built an empire of 10,000 gunmen that spread from the Rio Grande into Central America. He was nicknamed “The Executioner” because he liked to feed his victims to lions and tigers on his ranch. Lazcano was a highly skilled military technician and received training in jungle and urban warfare. He was also familiar with explosives and grenade-launchers. Lazcano is suspected of killing hundreds of people and used torture to spread fear over the populace. One of his favorite methods was named “La Paleta” (“The Lollipop”), in which a victim would be stripped naked and brutally beaten with a board. In 2011, Lazcano helped organize the second massacre of San Fernando, in which Los Zetas killed 193 people. During the event, people were forced to fight to the death in a manner similar to the gladiator fights of ancient Rome. The victims were given knives, hammers, and machetes to protect themselves. In August 2012, it was reported that Miguel Treviño Morales had replaced Lazcano as the leader of Los Zetas. 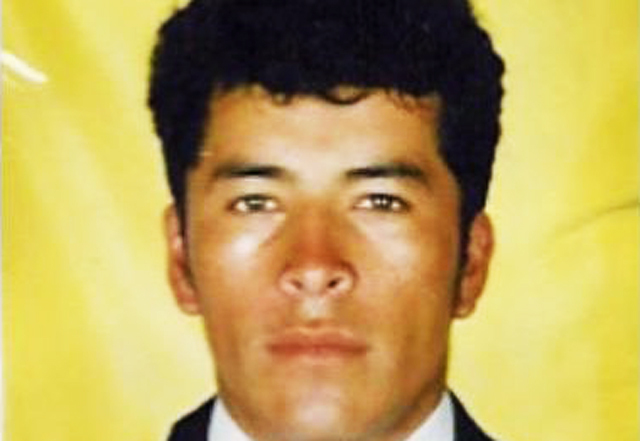 Despite the news, the US and Mexican governments put a bounty of $7 million on Lazcano’s head, and in 2012 he was shot and killed by the Mexican Navy. He was not identified until a group of masked men stole the body from a local funeral home. The theft caused police to investigate further and discover that the fingerprints of the dead man matched those of Lazcano. Despite the evidence, many people in Mexico have suspected that Heriberto Lazcano is still alive. They point to the fact that no identification was found on the body, and that the recorded height of the man was not consistent with Lazcano’s size. Some people have examined the images of the dead man and suggested flaws, discrepancies, and tampering. In late October 1948, something strange happened in Donora, Pennsylvania. Donora is a small town located on the Monongahela River, 39 kilometers (24 mi) southeast of Pittsburgh. It is home to the Donora Zinc Works and American Steel & Wire factories. On October 27, residents noticed a thick, yellowish, and acrid smog cloud hovering over the city. Almost immediately, they started to complain of respiratory distress and illness. By Halloween, 20 people had died and half the entire population of 14,000 had been left sick. The Donora smog is one of the most deadly air pollution disasters in US history. In the wake of the crisis, a large number of people in Donora got cancer. The mortality rate remained significantly higher than average for many years. The government officially reported that the smog was caused by a rare temperature inversion that caused sulfuric acid, nitrogen dioxide, fluorine, and other poisonous gases to build to dangerous levels. 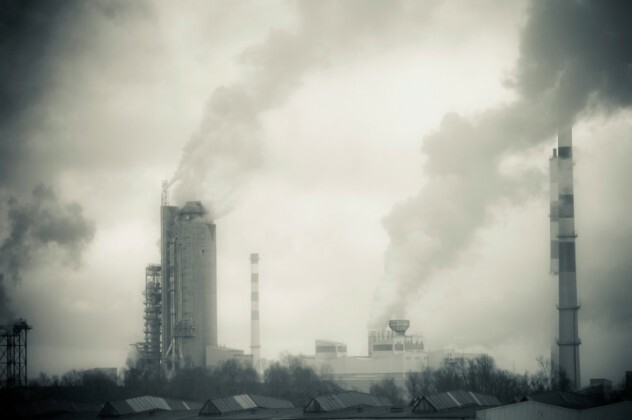 The smog has spawned a large number of conspiracy theories, revolving around US Steel’s refusal to release the records about the disaster, including an air chemical analysis. One man, Philip Sadtler, has claimed to have found evidence for high levels of fluoride in Donora. A former BBC journalist named Chris Bryson has suggested the US Army downplayed the fluoride poisoning due to the fact that the chemical was a byproduct of atomic research. The ultimate conspiracy being that the United States government wouldn’t admit to the “negative health implications” of fluoride, so instead decided to promote the chemical for public health benefits and place trace amounts in people’s drinking water. Dr. Robert Carton of the Environmental Protection Agency has claimed that “fluoridation is the greatest case of scientific fraud of the century, if not of all time.” On the other hand, the Center for Disease Control lists water fluoridation as one of the 10 greatest public health achievements of the 20th century, it’s used by dentists everywhere (they’re the people who care about your teeth), and it’s found in many toothpaste brands. It has been estimated that the Fukushima Daiichi nuclear disaster released approximately one-tenth of the radiation of the Chernobyl accident. In 2013, a study was published revealing that no physical health effects have been observed among the Japanese public because of the radiation. In 2012, Stanford University estimated that the radiation from Fukushima Daiichi would cause around 15 to 1300 deaths from cancer. But in 2013, claims started to emerge that the true impact of the Fukushima disaster was much larger than reported. The fringe theory says that the meltdown is the largest nuclear disaster in history and dwarfs the Chernobyl accident. Believers claim that radiation from the plant has spread around the world and is causing negative health concerns and that Fukushima is not experiencing “some leaks,” but the disaster is an ongoing event like never witnessed before, which might continue for hundreds of years. Articles have been published claiming that the radioactive plume from the original disaster will reach the West Coast of the United States and Canada in early 2014. By 2015, the widespread impact of the radiation will be felt in Japan. The radiation cloud will continue to move around the world for decades, while the Pacific Ocean will be polluted by the complete failure of the power plant. In August 2013, the Japanese government announced that Fukushima had experienced a massive leak of radiation-contaminated water. Currently, about 400 tons of groundwater enter the reactor basements of the facility each day. The water is then pumped into about 1,000 storage tanks, which have started to leak. To solve the problem, the Japanese government has decided to build a mile-long impenetrable frozen wall beneath the plant, to prevent groundwater from mixing with contaminated water. Fringe reports have been published claiming that Tokyo is becoming highly contaminated with radiation. A study published in April 2013 suggested that nuclear fallout from Fukushima has caused “significant elevated rates of congenital thyroid illness in infants born on the West Coast of the US and Hawaii.” The negative information around Fukushima has caused people in Japan, Canada, and the United States to call for a monitoring system that will track air pollution and seafood quality on a weekly basis.